Tuesday, June 24, 2014| 6:00 pm Conflict Kitchen | Schenley Plaza | Pittsburgh There is a $25 charge for this event – including dinner and drinks provided by Conflict Kitchen. To register, visit www.worldpittsburgh.org or call 412-281-7970. World Affairs Council events are open to the public. No-shows and cancellations after June 20, 2014 will be charged. Please advise in advance if you have dietary restrictions. Ninety miles. This is the distance that separates the United States from Cuba. On clear days, one can see the shores of Cuba from the Florida Keys. So close, yet so far away… This expanse has been emblematic of the U.S.-Cuban relationship for decades. 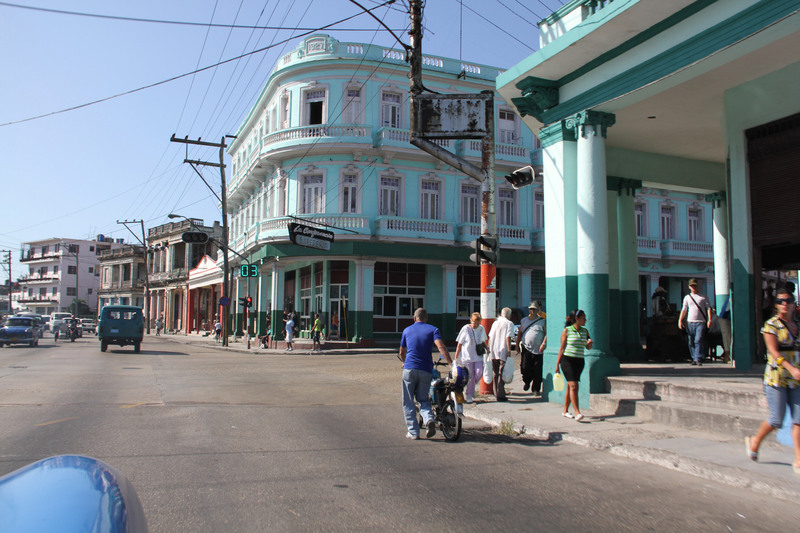 By far the largest Caribbean island both in geography and population, Cuba has been a flash point in American politics, and has left many divided on how to approach the Communist nation closest to the U.S. mainland. Join Conflict Kitchen and the World Affairs Council for dinner and to hear from a leading Cuba expert. The discussion will focus on this influential island nation and those who shape it — as well as the economic, political, and social ramifications for the U.S.-Cuba relationship moving forward. Sarah Stephens is the Executive Director of the Center for Democracy in the Americas (CDA), which she launched in 2006. A long-time human rights advocate, she began her work in the 1980s at El Rescate, a center for Central American refugees in Los Angeles, and then worked for the Hollywood Women’s Political Committee on human rights. She later founded and directed Artists for a Hate Free America, an entertainment industry-backed organization geared toward encouraging youth involvement in human rights and civil rights issues. and research missions. She has advocated for changes in U.S. policy toward Cuba before Congress, and at forums in the United States and in Latin America. Her commentary has been featured in the Los Angeles Times, Washington Post, Christian Science Monitor, Washington Times, Huffington Post, and the Havana Note.